Using state of the art flat bed printers at our in-house studio we are able to apply a stunning print directly to a wide range of materials. Our direct to panel printing includes correx, foamex and dibond products. All printed using premium quality inks for show stopping results. Our print equipment includes various printers capable of producing vibrant flexible material prints including posters, banners and stickers. Our flexible media is ideal for a wide range of applications including exhibitions, shop windows, outdoor events and commercial use. As signmakers we have been producing graphics & signs for over 25 years and are now at the very forefront of large format digital display printing. Our eco friendly large format printing service is sure to get your business noticed. Whether you need retail posters to promote a sale in your shop or show stopping exhibition trade show graphics Digital Display Printing can help. We have a wide range of high quality print products including vinyl printing, colour posters, custom banner printing, canvas printing, poster printing and display signage. At Digital Display Printing we pride ourselves on meeting deadlines and we produce and dispatch signage and graphics from our studio in Croydon, just outside London. We can work with your designers to produce everything from custom signs, canvas prints, bunting, canvas wall art, vinyl decals and more. Alternatively our in house artwork team can produce a design for you. UK Leaders in large format digital printing services, from poster prints, canvas print, pvc banners, signage, vinyl banners and business signs. In fact if it's big and printed we can do it. We print our signage posters and banners using the latest HP large format eco friendly printers, premium inks and media to produce stunning photo realistic full colour large format digital printed banners, posters and promotional signage. Compliment promotional banner stands and point of sale displays such as pavement signs by Discount Displays with printed graphics. Crisp text vibrant colours for maximum impact and durability. Our team of experienced staff ensure you enjoy expert advice, fast delivery and affordable prices on all your large format digital printing requirements call us today on 0844 800 1020 and find out how we can help with your next signage project. 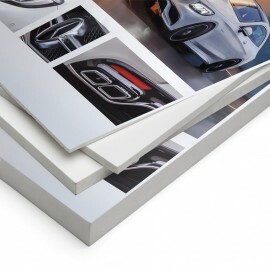 Unbeatable quality on our full colour digitally printed custom posters. We print posters for indoor & outdoor use using vibrant colours with exceptional fade resistance. A simple affordable one off A1 poster print or a few hundred for a campaign, you can be sure of great prices. Fantastic backlit material available for all size and quantities of lightbox poster. Using the latest HP latex eco friendly inks our banner printing service is an industry leader. 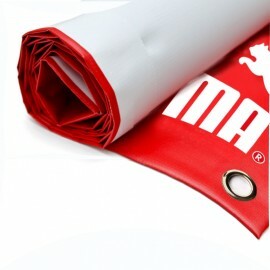 Stunning weather proof vinyl banners printed with your custom design. High impact image quality, reinforced material and fade resistant inks. Affordable advertising banner prices delivered fast. 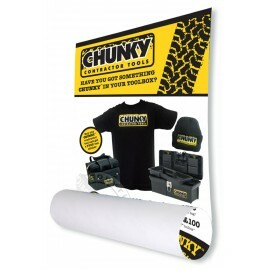 Choose popular custom vinyl banner PVC or canvas in any size or quantity. 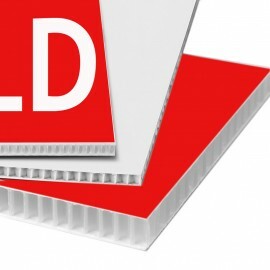 Direct to panel printing means no more peeling graphics on your custom printed signs. We print signs direct to; plastics, wood, acrylic, cardboard, metal, ceramic, in fact pretty much any sign material you can think of. Ideal for exterior signs, display signage, display signage retail signage, security signs and much more. Canvas give a traditional feel to printed graphics. Use it to create canvas printed wall art in your office or commercial space. Other fabrics are idea for promotional flags and bunting or trade show table cloths. Our fabrics are printed using odourless latex, eco friendly inks. Stunning colours and long lasting print quality. You can also purchase display products and exhibition equipment to compliment your printed artwork.